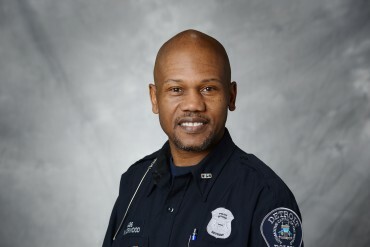 Officer Marcus Norwood has been a police officer with the Detroit Police Department since 1989. He participated in PAL baseball from the time he was five years old until he graduated from high school, and remains committed to the team as a Detroit PAL Youth Development Officer. Officer Norwood lettered four years in baseball, and three years in track and football as a student at Saint Martin de Porres High School. He also won a state championship in football there. Officer Norwood is a graduate of Eastern Michigan University. In his spare time, Officer Norwood is an avid hiker, ice hockey player and writer. He is passionate about mentoring kids and closing the gap between the Detroit Police Department and youth.